I had purchased the fabric almost 2 weeks ago and I have not even completely unfolded it from the store. LOL -- I wanted to make a quilt that I saw in a magazine. 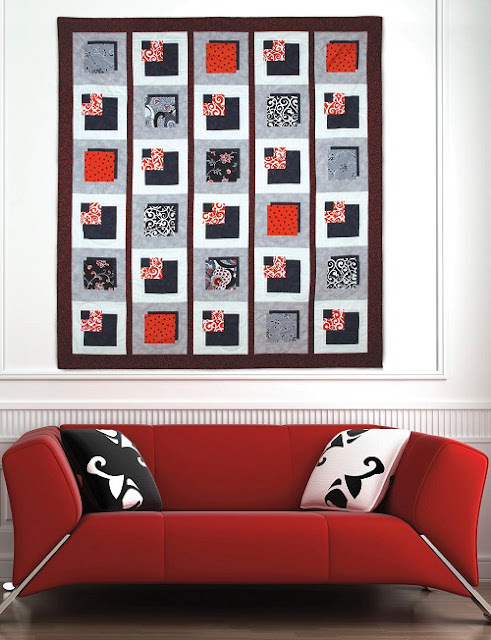 The author to the pattern talks about her quilt in detail here. She called it Tango and used a beautiful line with black, gray, white and tangerine. Well, Mr. Kat loves the colors and pattern also. I am writing this post hoping that it will influence me to start working on it. But I have never done anything like this and it is intimidating. But I normally make a "proto-type" block before cutting into my nice fabric. This way I can have a visual representative and it makes the math easier to figure out, too. 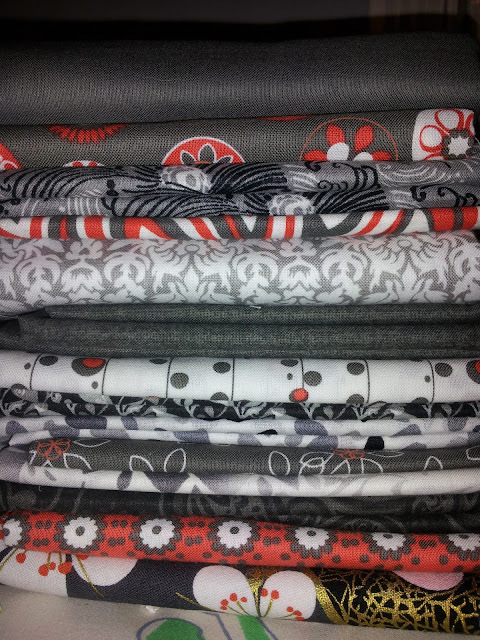 Here are our fabric choices!! You are one of the most talented people I know and I am SURE it will turn out gorgeous. Always remember "nothing ventured, nothing gained" -- and you truly live that way, so this is a piece of cake for you! Thank you, Michele. It has been great having an outlet for my creativity. I appreciate you stopping by and checking out my progress. I will keep you updated.